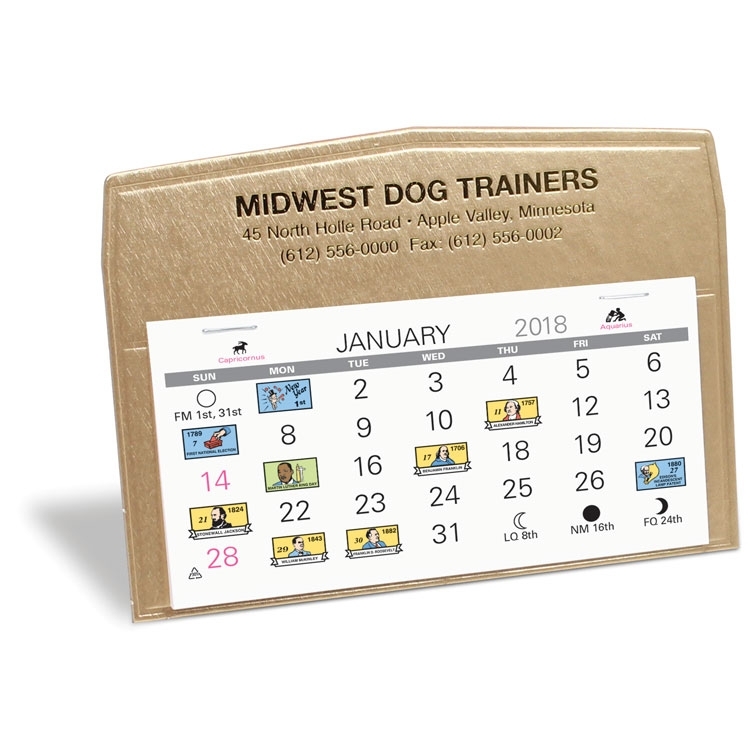 The Virginian Desk Calendar offers a foil stamped imprint, and a 5 3/8” x 2 5/8” full color historical 12 month datepad. Standard in white, maroon, navy or gold all with a gold imprint. See "Options" for other than standard imprint colors. Free mailing envelopes are included, not inserted. 6 1/8" x 4 3/8"
Other than standard imprint colors available for additional charge of $30.00(D).